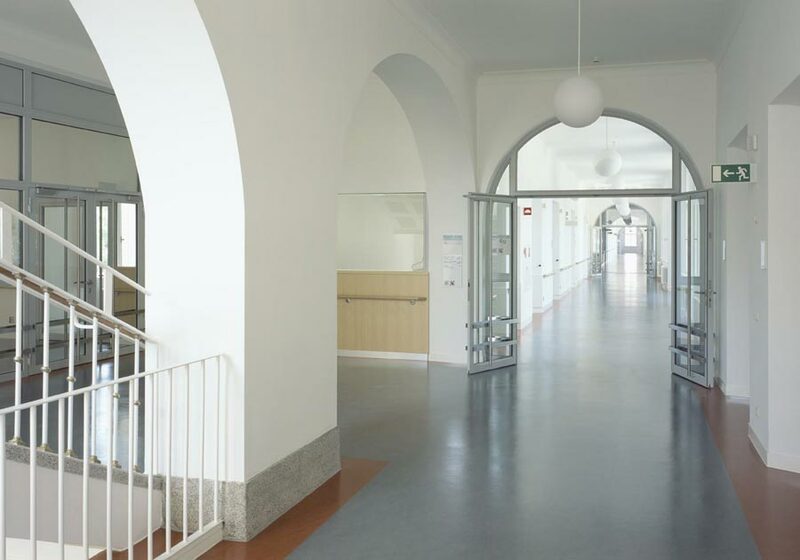 Buildings 2 and 6 in the General Hospital Munich-Schwabing are two of the heritage listed pavilion buildings of this historical development originating from the beginning of the last century. Three storeys accommodate the general care stations, an oncological day clinic and an area dedicated to stem cell separation. Additional areas housing clinical practitioners, cytological examination zone and staff changing facilities were also essential elements of the brief. 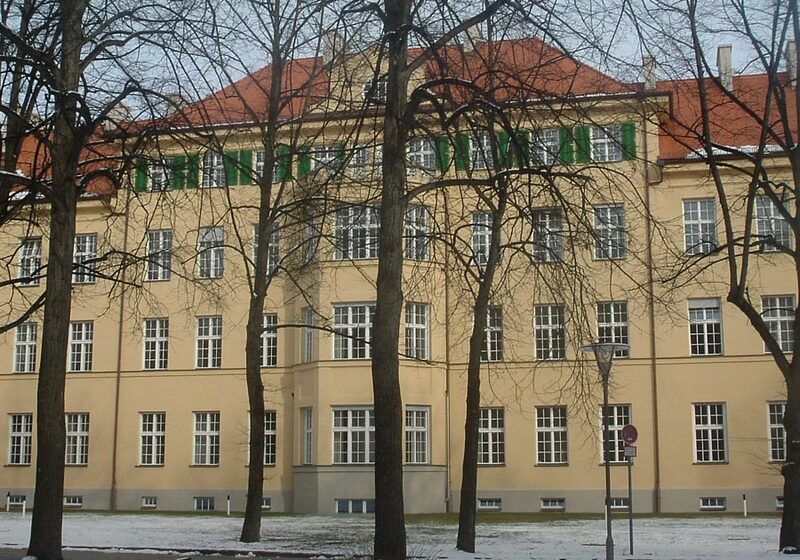 The ultimate external appearance of the buildings, after extension and renovation, was based upon their original historical appearance. 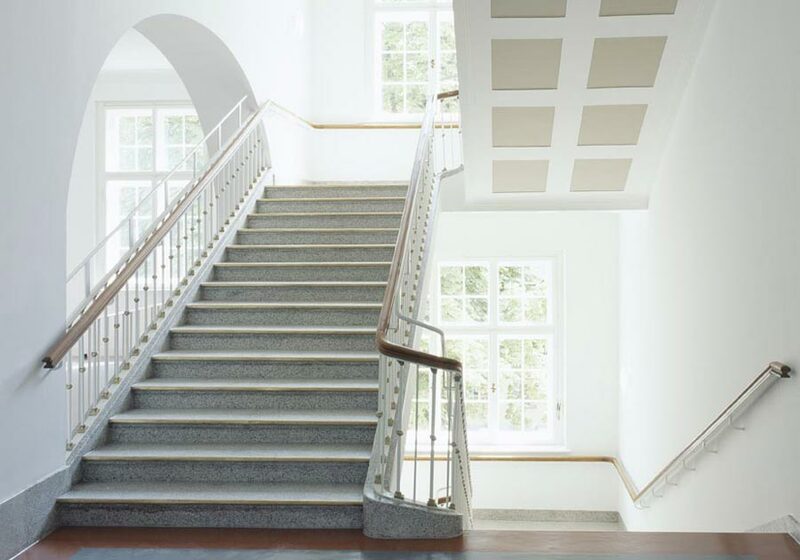 Internally, the buildings were largely modernised, although particular attention was paid to the stairwells and corridors which were restored to their original spaciousness and material treatment. By applying intentionally modern, built-in elements the new organisational concept of the patient care levels is clearly visible and contrasts with the existing fabric of the buildings. The rhythm of the facades enabled an optimal arrangement of the patients’ accommodation – this area was completely renewed. 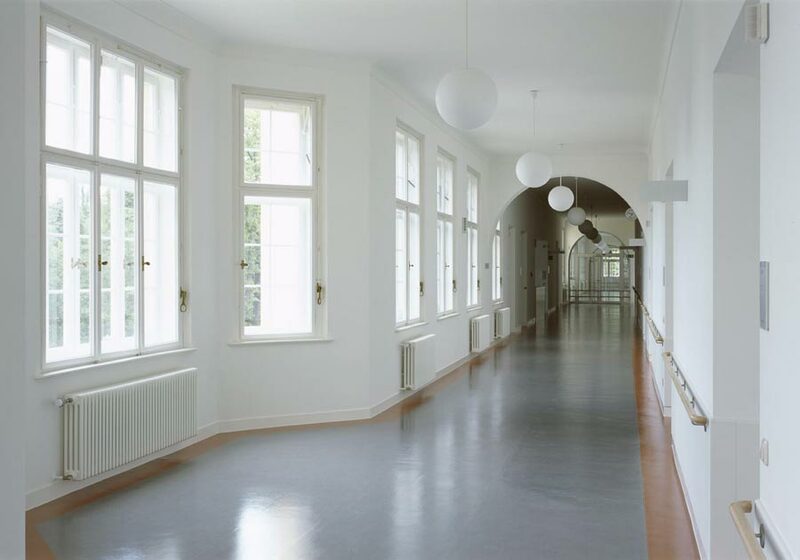 In 2007 Nickl & Partner was awarded the Facade Prize from the City of Munich for the successful renovation of the facades in the General Hospital Munich-Schwabing.